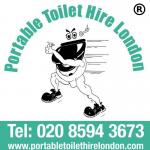 Portable Toilet Hire (London) Ltd is committed to protecting your personal information when you are using our services. This Privacy Notice explains what personal data we collect about you, how and why we use it, who we disclose it to and how we protect it. The term “personal data” relates to any information either directly or in combination with other information that we may hold. any personal data such as your date of birth and national insurance number and any sensitive personal data which may be contained in your curriculum vitae and/or other documents provided with your job application.